As the roles of IT executives continue to grow in complexity, the expectation is that they are partners in transforming the enterprise; can handle data privacy and security to protect the enterprise; and will strike the balance between innovation at market speed and governance. That is a tall order. Cloud technology has become a powerful and pervasive enabler for the CIO’s new reality in an agile world: According to the Harvey Nash/KPMG CIO survey, agility is the number one driver for cloud adoption. Yet a large number of organizations in the early stages of cloud adoption are not prepared to manage the often unexpectedly-spiraling costs that emerge because of dynamic consumption, fluid pricing, and technical drivers of cost. Moreover, IT leaders are experiencing budget increases at their highest level since the study began tracking this factor thirteen years ago, and only 30% of CIOs report they have the right governance model to support such rapid change. “The need for clarity and a framework to shepherd this rapid growth is imperative to support IT executives as stewards of the enterprise’s investment in the IT estate,” says Joe Davila, KPMG CIO Advisory Director. The Harvey Nash/KPMG CIO survey results, he points out, reveal that developing innovative new products and services is the top priority for both customer-centric and digital leader organizations, while saving costs remains a Top 5 priority for IT leaders. Cloud technology is at the center of this upward thrust in the innovation curve, and this demands management at market speed as well. The IT organization will play an integral role in enhancing the financial performance of cloud while partnering with the business to enable intelligent cloud strategy decisions. From KPMG’s point of view, there are four core dimensions to Cloud Financial Management (CFM) as a discipline: assessment and analysis; cost improvement; metrics and performance; and operating models. Each of these has disciplines that can be applied to on-premise, hybrid, and cloud service models — to capture and monitor costs, harvest savings opportunities and model financial options for a comprehensive approach to CFM through both pre- and post-migration periods. When applied with consistency and rigor, a good cost management-focused operating model will give IT organizations a variety of useful levers. These include right-sizing or matching instances and environments to what is actually consumed; using technologies for auto-scaling capabilities; matching required storage to computing needs; picking the right pricing and purchase models; and continuous monitoring and measuring to get those savings over time. “All of this quickly adds up to big savings, and IT’s credibility with leadership elevates as well,” says Davila. Ultimately, he explains, this becomes not just about teaching IT how to be better stewards of cloud costs, but how to become better partners with the business. When it is done right, CFM helps organizations accelerate their digital transformation; scale and deliver more value faster; and increase their business and IT agility. “Cloud financial management is key to ensuring that the business is placing the right bets on the right solutions at the right time,” says Rob Breakiron of KPMG’s CIO Advisory practice. Managing cloud costs is not just about decreasing cloud spend, he explains. The idea is to understand how cloud impacts the IT operating model and the services that IT provides to their customers. Regardless of the short-term cost of moving to the cloud, value is increased through a responsive IT organization that can deliver services to their customers faster. “Value is further increased when an IT organization manages cloud migration and operational costs,” says Breakiron. Cloud financial management also enhances the IT finance organization’s ability to understand the costs of the services they provide to their customers. “Compute cost data from cloud providers is robust and granular, which helps IT build transparent links to the compute costs component of their services, that often hold a lion’s share of the costs,” he says. Once IT understands the cost drivers of their services, they can build out attractive service pricing across their service catalog, providing customers with levers linked to service levels that give them the ability to manage costs. While the fundamentals of cloud financial management are evolving, a few things are evident. Cloud is not going away, for one thing. In addition, cloud platforms and offerings are ever-increasing, and understanding the pricing of each platform’s offerings is an evolving effort. If your organization is just getting started, the key to success is to look before you leap, agree Davila and Breakiron. First of all, make sure you ask basic questions pre-migration: Why are you moving to the cloud? 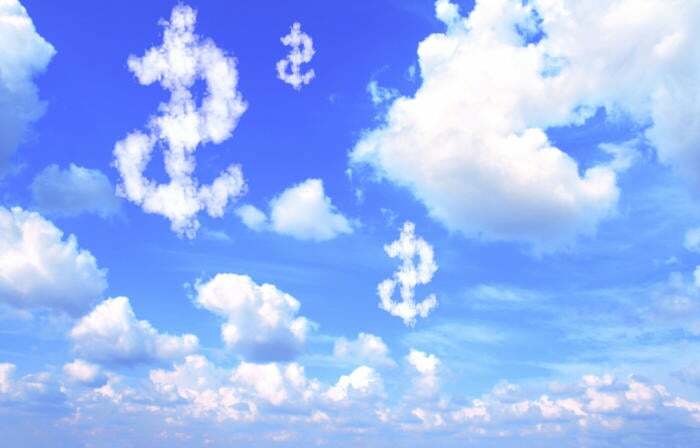 Is there a financial case to migrate to the cloud, for some or all of what you are doing today? What are the specific financial opportunities and benefits? “The answers to those questions serve up a lot of different ways of dealing with strategy, discovery and assessment; building and defining a roadmap; and planning all the way through migration and execution,” says Davila.